Be the envy of all your fishermen friends. If you're heading out to the coast or the lake for a spot of fishing, you can have the best gear and the perfect bait but you won't land anything if you're set up in the wrong spot. 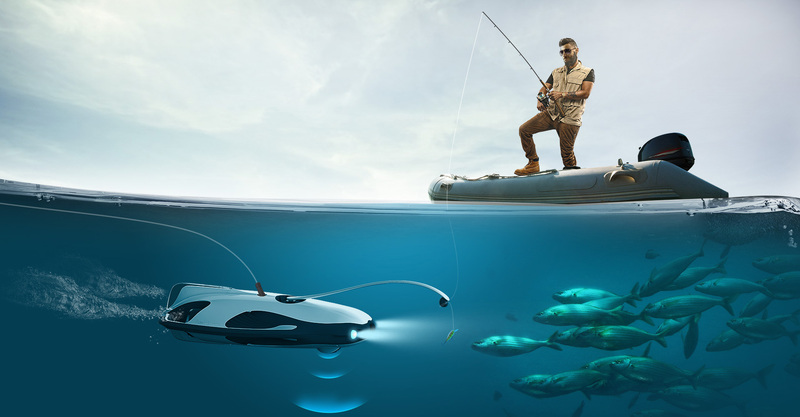 Experience can only guide so you so much, so PowerVision -- the company behind the incredible PowerEgg drone we saw last year -- has built an underwater robot called the PowerRay to help find and lure in your next catch. The PowerRay can dive down to 30 meters (98 feet) underwater, where it can use an optional "Fishfinder" sonar component to detect fish another 40 meters below it. The drone's WiFi system beams video and images captured by its integrated 4K camera and additional data on the underwater landscape and temperature up to the surface, which can then be viewed via the dedicated iOS or Android app. It also features an "internal fish luring light" that will apparently attract fish with a welcoming "hue of blue" and an optional remote-controlled bait drop that can place tasty snares in your desired location. 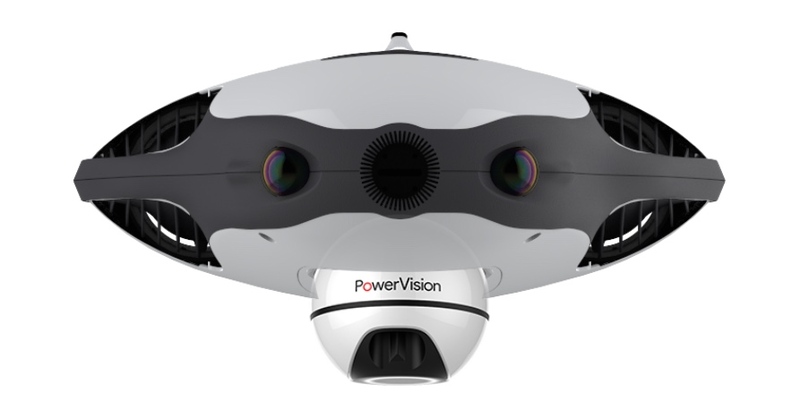 If that's not immersive enough, PowerVision wants to add a touch of virtual reality to proceedings. The PowerRay comes with an option to be controlled by a wearable device or via its own VR goggles. The PowerVision VR Goggles recognize both "gravity and gestures," allowing you to control the robot by simply moving your head. If you're looking to be the envy of all your fishermen and women friends, the PowerRay will be available for pre-order starting February 27th. PowerVision hasn't yet announced a price, but judging from the company's other robots, expect it to be on the high side.